Let’s go ahead and get this out of the way first… long-distance stepmomming is HARD. My current reality is made even more difficult by the fact that up until last summer, my husband had 50/50 custody of my 3 stepkids. This arrangement would’ve very likely continued forever; however, with my husband being an active duty Soldier, we have always known that a military move was on the horizon. In February of last year, that day finally came, he received his official orders to relocate 7 hours away to Fort Benning, GA. This meant that we had to adjust to a new reality… becoming a long-distance stepfamily. 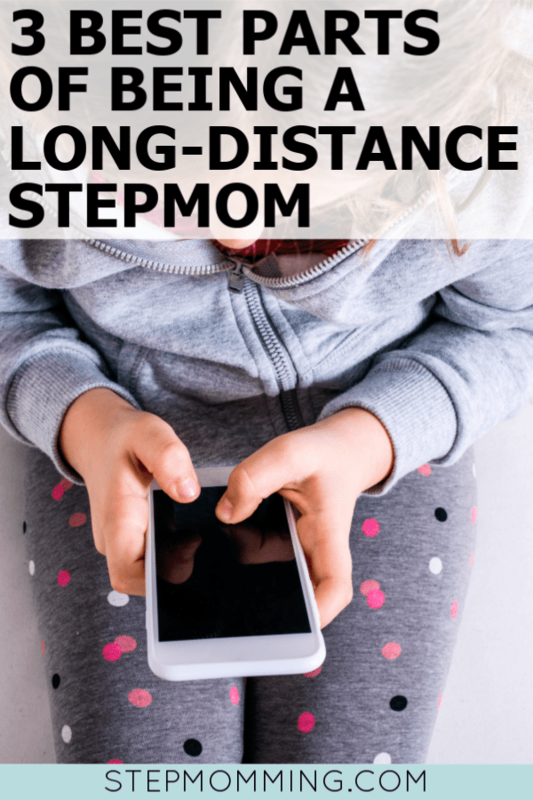 To be candid, as a childless stepmom, the initial dive into long distance stepmom mode was a pretty simple transition after the initial shock wore off. No more early morning car rider line, shuffling from schools to sports while downing fast food in between was a thing of the past, and I could walk around the house naked again. If you were previously childless or have ever lived alone, you know that joy all too well. Alas, that joy was short-lived, because it wasn’t long before almost everything reminded me of the kids. Almost all of my favorite memories from the previous 3.5 years involved wrestling tournaments, CrossFit, band, or some of our family’s crazy grocery store shenanigans. Soon, the memories overwhelmed me, the loneliness set in, the distance was strongly felt, and I knew something had to change. The reality is that the distance is felt most when you focus more on the negatives than anything else. Dwelling on how much I missed the kids escalated quickly into wine and tears while watching a strategically selected rom-com to make me cry even more. Something had to change, and I started with focusing on the positive and the future. “I’m so excited to finish watching Season 7 of the Gilmore Girls when I see you in 2 weeks,” turns the focus off of the distance (instead of, “I miss you so much, and I’m so sad I won’t see you again for a long time”) and builds excitement for the next visit! Let’s be honest, we all love having something to look forward to, so planning ahead helps us to maintain strong bonds in between. One of the perks of long-distance stepmomming is that in most scenarios, ours included, you get the vast majority of the holidays. In our family, holidays mean celebrating and making memories with elaborate home-cooked meals. Ladies, here’s a life tip, if you get a chance to marry a man who can cook, TAKE IT! I guess most people reading this are married, so I suppose you’ll just have to tell your single girlfriends that tip instead, but at least the knowledge will be passed on, HA! Seriously, though, some of our favorite memories as a family have been made in the kitchen, and the holidays are the perfect time to level up the kitchen bonding. Family traditions are extremely important to me, so combining my love of tradition and food was a win-win scenario. The interesting thing about traditions is that most of us try so hard to create these awesome traditions, and then the best ones end up happening completely by chance. Funny, right? A few years ago, during a seemingly never-ending French toast phase, I insisted on having a tower of it for Christmas Eve breakfast. At the time, the kids didn’t really seem as on-board with my incessant craving for it (does anyone goes through phases of craving specific things?!! ), but my husband obliged, because we didn’t have anything else in mind. When Christmas Eve morning came, we had the absolute BEST French toast ever…seriously! We followed Alton Brown’s recipe right down to making the custard the night prior, and it was basic breakfast heaven. A new tradition was born, and while I’m out of the “I must have French toast for breakfast every day” phase, this tradition is forever. Something that quickly bonded my husband and me when we first met was our love of fitness. After I met the kids, we naturally included them in our exercise routine. We had begun a high-intensity interval training program together, and we always made it a habit to ask the kids if they would like to join us. Pro Tip: If you have ever wanted to start working out as a family, always ask the kids (or your husband) if they’d like to join you. Never force it, never guilt them for not joining, but always ask, and you’ll find that your example will spark their interest over time. This is easily made into a long-distance bonding activity for us, because the last time they were here, we were on day 5 of a new workout regimen, and the next time we see them they’ll see how we’ve progressed to day 25. We can keep them updated on our fitness, and they can keep us updated on theirs, too. It’s a fun way to keep the conversation going as a family. Listen, there are very few precursors for my friendship, but one of them is definitely that you have to unapologetically be obsessed with the Gilmore Girls. No, no, you don’t have to start your morning with your favorite PopTarts and re-runs, but if your eyes don’t light up with joy when you hear that Gilmore banter, you can’t sit with us. One day we sat down to watch an episode of the Gilmore Girls, because no one could agree on anything on Netflix (…I’m sure you can’t relate… HAHA! ), and BOOM, the kids were falling in love with the show for the first time, while I was simultaneously re-living my childhood. If there’s one thing that I see most commonly in our closed support group for stepmoms, it’s that we all want to be the “cool mom.” If there’s one hill I am willing to die on, it’s that Lorelai Gilmore is the ultimate cool mom. Undoubtedly, one of the most lovable things about the Gilmore Girls’ relationship is that they’re best friends. At the end of the day, that’s what our step kids truly need above all else. They need us to be their confidant, their encourager, someone they can dream with, and most importantly, someone to order them enough coffee and Chinese food to fuel their journalism degree from Yale. But, seriously, stepmomming is hard. Add in the distance, and the bonding can become even harder. No matter the distance, remember that you play an irreplaceable role within your family. You are enough, you are loved, and you are worthy of love and beautiful memories within your family. Never allow distance to keep you from the strong bonds you crave with your step kids. Find the things you love to do and make them a continuing conversation throughout the year. Whether you’re next door neighbors, across the country, or somewhere in between, you are just as much of a stepmom as anyone else. Distance doesn’t define you, and neither does being a stepmom. Stepmomming isn’t who you are, it’s what you do. Do it well, gorgeous. You’ve got this! P.S. Still missing the kids? Here are some more tips to get you through the time apart! 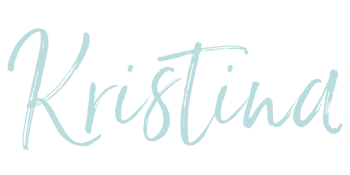 Kristina is an Army wife, stepmom of 3 amazing kids, and a borderline obsessed dog mom of 2. 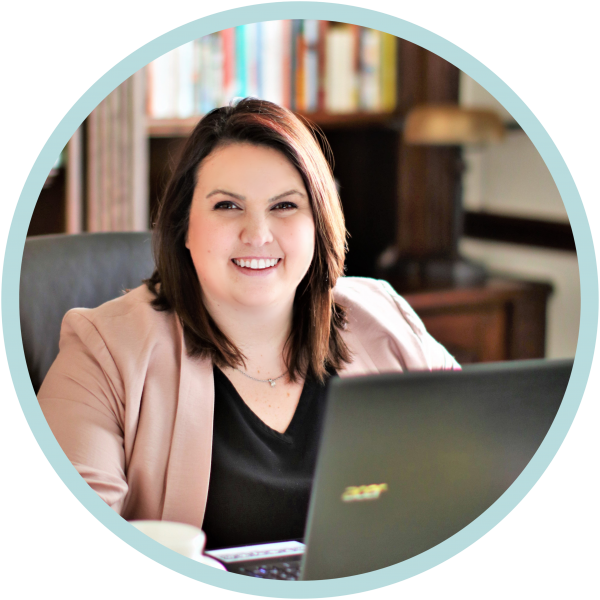 She runs her own social media management business, loves personal development books, and considers exercise to be her therapy. Give her some tacos, wine, and Gilmore Girls, and she'll be occupied for days.